Equity partner, DYNASTY Law Firm. We are currently a group of companies with more than 18 years of history, united in order to expand the range of services to achieve maximum efficiency in resolving complex and problem situations that arise in our clients in various industries. These range from strategic consulting and resolving critical disputes before in-house support for an existing business or its expansion into foreign jurisdictions. The group unites companies that originally specialized in dispute resolution, preparation of expert studies, business structuring and tax consulting, support of real estate transactions, protection in criminal proceedings, and maintenance of the division between the personal assets of clients from their corporate business. The DYNASTY law firm, as one of the leaders of the Ukrainian legal market, and the International Legal Expert Group expert association, is one of the leaders in the areas of strategic consulting and training expert opinions form the structure. 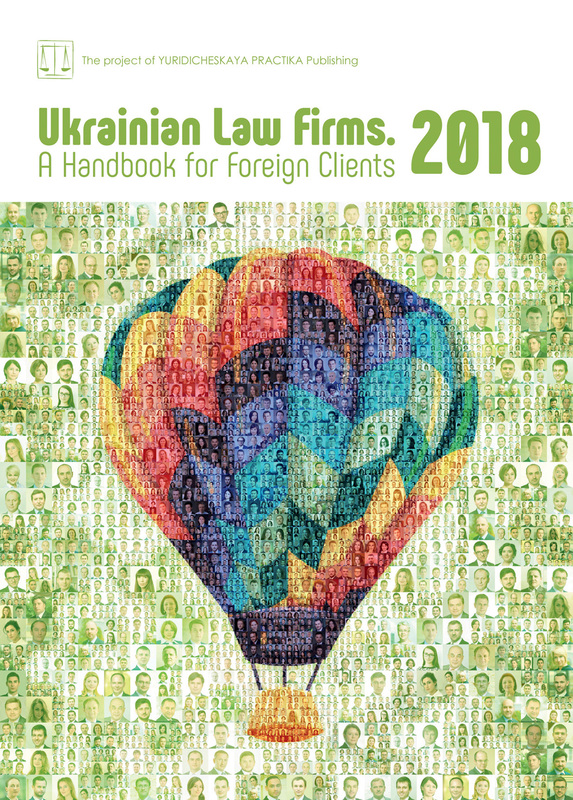 The 18-year history of the successes of the DYNASTY Law Firm is reflected in its recognition of international and national legal ratings: the partners of the firm since 2003 that are recommended by The Legal 500, The Client Choice, 50 Leading Law Firms in Ukraine, and Ukrainian Law Firms. A Handbook for Foreign Clients. At present Dynasty is a recognized leader in the areas of judicial resolution of disputes, bankruptcies and restructurings, accompanied by real estate transactions (The Best Law Firm of 2016 according to The Legal Practice (LP) version). In 2018 Dynasty was a finalist of the all-Ukrainian rating in the nominations Judicial Firm of the Year and Firm of the Year for Business Protection. Our team of specialists in finance, economics and law is represented by leading Ukrainian lawyers, judicial experts of the Ministry of Justice of Ukraine, as well as practicing scientists of the National Academy of Sciences of Ukraine (NASU). Crédit Agricole Bank, OTP Bank, and VTB Bank were, and still remain, clients of our partners at various times in the banking area. ArcelorMittal, Severstal, Rusal, Azovobshchemash, Dneprospetsstal, Primetals turned to us for help in the industrial area. Philip Morris, DHL, Siemens, Mitsubishi, and Generali Financial Group are among the large international companies we’ve provided services to. Furthermore, state enterprise Ukroboronpom is a regular customer of ours, and in the context of conducting expert studies and/or scientific and legal expertise, we are regularly approached by law-enforcement agencies of Ukraine, namely: the Security Service of Ukraine, National Anti-Corruption Bureau of Ukraine and prosecution authorities. We also work actively with the European Business Association, American Chamber of Commerce, Association of Taxpayers and the embassies of countries whose businesses are experiencing certain difficulties in Ukraine. Administrative Judicial Proceedings: Revolution or Evolution? The new Code of the Administrative Proceedings of Ukraine (CAPU) and the operation of the Supreme Administrative Court (SAC), as a part of the Supreme Court, have begun a new era of administrative legal proceedings. The changes in the underlying principles of the proceedings, alterations in the specific procedural rules, and the partial re-formulation of the judiciary at the cassation level have led to foundations for the radical changes in that sphere in aggregate. However, in contrast to the vivid principal changes, which are gradually taking place in commercial litigation, administrative proceedings have not shown such characteristic results yet, despite all the grounds for its development. The key innovations in the administrative proceedings can be divided into “system” and “procedural” ones. Such a division is subjective and covers only those changes that will have the greatest influence. Subject to those reservations, we can attribute to “system” innovations the provisions as follows. De facto, practice of the higher courts of Ukraine influenced the judgments of the courts of the first and the second instance. We can recall the earlier function of the former Supreme Court of Ukraine (SCU) to ensure the uniform judicial practice, and obligation (in certain circumstances) to follow the SCU conclusions set forth in its Decrees related to application of the rules of law to all subjects of state power, and the “leading role” of the Comments approved at the Plenary Sessions of the SCU. However, the case-law, as a phenomenon, was not biding in the Ukrainian legal practice, even taking into account the conflict law principles in application of the decisions of the European Court on Human Rights. It led to practice when the Supreme Administrative Court of Ukraine could deliver different judgments (on the merits) in disputes on results of inspections of taxpayers’ activities made within different periods, while the factual circumstances and evidential base in such cases were the same. The situation has changed so far, because the Institute of the Model Case, introduced by Article 290 of the CAPU, can significantly accelerate consideration of cases with similar conditions. Moreover, it should reduce the courts overloading with appeals on judgments which legal “models” have already been analyzed by the Supreme Court. As of May 2018, the SAC at the Supreme Court has already delivered six such judgments. Although, five of them concern issues of a social character, the sixth judgment has formed a precedent of great interest for business. This one is related to charging of penalties from taxpayers located in the area of the Anti-Terrorist Operation (Case No.812/292/18). Prior to commencing the litigation, the parties may settle their dispute along with a judge involved. That procedure is inaccessible in some cases directly defined by the CAPU. Application of such procedure shall suspend the procedural deadlines, and the procedure itself shall be implemented in the form of general meetings. A judge, as a mediator, may offer amicable dispute resolution and may present the relevant judicial practice to the parties. Although, the evaluation of evidence or legal advice is not allowed. In general, such procedure can significantly accelerate the settlement, while abuse of procedural rights may lead to a deliberate delay in consideration of a dispute on the merits. However, state authorities in accordance with Article 19 of the Constitution of Ukraine shall always act only on the basis and within the scope of authority, and in the manner prescribed by the law. As state banks are not able to restructure debts without a separate legal procedure, so hardly can a state authority change its legal arguments in a case. Perhaps the case of omission by the state body could barely be the only example of such a mediation. Introduction of this system is one of the most striking examples of the judicial system evolution. The system covers the documents workflow, trial recording and court hearings in the teleconference mode. The concept implies usage of an officially registered e-mail address and an electronic digital signature. This innovation does not replace traditional paperwork, which remains possible. Practical implementation of the system entails some problems, however, the positive effect arising from its application can be noted even now. The innovations of the CAPU provide for introduction of fundamentally new instruments for litigators — “Electronic evidence”, “Expert examination at request of the parties”, as well as “Expert in the field of law”. What is less dramatic, but still affecting the judicial proceedings is the new role of the preparatory stage of a case consideration (clarification of all the circumstances of the case, provision of all procedural documents and evidence at this stage became mandatory), changes in the procedural timeframes and procedure for appeal (it shall be filed directly to the court of appeal; the term for appealing a judgement is 30 days, whereas there are 15 days for appealing a ruling), changes in the challenge procedure (it may be considered by another judge) and introduction of a counterclaim institute. As we see, there has been established a fundamental basis for bringing administrative legal proceedings to a new level. Nevertheless, such common problem as courts overloading has not disappeared. As of March 2018, about 44.5 thousand lawsuits were pending in the SAC, more than 38 thousand of which were left “unresolved” by the previous higher courts. At that time, only about 17 thousand cases were distributed among judges, but this amount was approximately equal to the aggregate amount of cases pending in the three other higher courts. It may be the reason why a significant part of the principal legal views in the most vibrant subject area — tax disputes — remain unchanged. For example, the SAC upheld earlier legal opinions regarding unlawfulness of findings, be the inspection procedure breached (Case No.821/1957/16), and groundless of a tax credit provided to counterparties of a tax payer, be a sentence in a criminal case on fictitious entrepreneurship brought in the favor of the later (Case No.826/6986/14), and absence of a tax payer’s liability for violations of its counter-parties, if the participation of such tax payer in those violations has not been proved (Case No.804/4940/14). However, some judgments of the Supreme Court show evolution with a view to protection of taxpayers. In particular, the painful for tax payers issue has been eliminated — the requirement to have employees, technical facilities and warehouses available to prove the merchantability of the transaction. So, the named circumstances shall not be now considered as prima facie evidence of the fictitious nature of the transaction (Case No.2a-13944/12/2670). Another example of improvement of the courts’ consolidated opinion is denial of the presumption of the tax payer’s awareness of its counterparts’ fairness, which has been upheld by the Supreme Court for a long time as an argument in favor of tax authorities (Case No.816/809/17). Still, changes in court practice of the SAC’s at the Supreme Court related to fundamental issues of the universal nature hardly step forward. One of the few isolated changes is the novelty in defining jurisdiction of disputes related to demolition of non-authorized constructions. The approach of the Supreme Court regarding the criterion of attributing such disputes to civil ones has been shifted to recognition of the public-law nature of such disputes due to the public authorities involved. Consequently, it brings to the recognition of the administrative court jurisdiction in disputes of such type (Case No.161/14920/16-a). Does such a restrained progress in legal practice improvement block breakthrough in administrative proceedings? No way. The innovations in the procedural legislation can radically change in the coming years the judicial practice by introducing legal certainty and improving effectiveness in protecting individuals and legal entities from abuse of the public authorities.